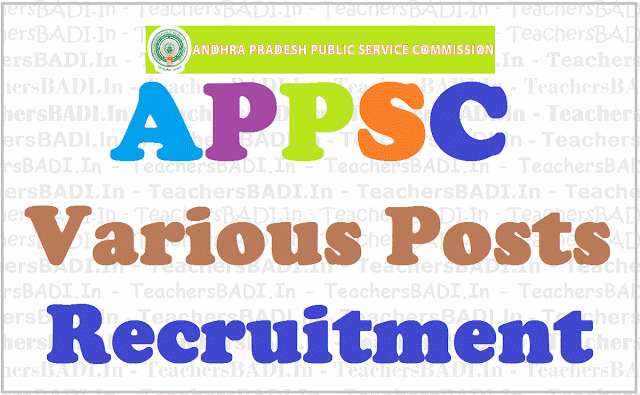 Andhra Pradesh Public Service Commission (APPSC) has declared the final result for recruitment of Lecturers in Government Degree Colleges in A.P Collegiate Education Service. The recruitment process had begun in 2016. Based on the online exam held in June 2017 and Interview held in November 2017, the Commission has come up with the list of selected candidates provisionally selected for appointment to the post. The complete list for 16 subjects is available at the official website psc.ap.gov.in. For Commerce stream, the results are kept pending. The result is available on the official website in the form of .pdf file. Candidates shall have to download it and check for their roll numbers. Today APPSC released mark list for Group 1 Services main exam and interview. APPSC Group 1 Services Main exam result was declared in December 2017. The Commission had selected candidates in the ratio of 1:2 on the basis of the re exam held from 14 September 2016 till 24 September 2016. A total of 294 candidates were shortlisted for interview which was held in January-February 2018. Meanwhile, for APTET 2017, the answer key is expected as 15605 candidates are yet to appear for the exam on 2 March 2018.Though the exam concluded on 15 February, 15605 candidates could not appear for the exam as exam conducting body, Commissioner of School Education (CSE) AP could not accommodate the candidates in the districts of their choices. Those candidates were allotted test centres at Bangalore, Chennai and Hyderabad. CSE AP has allowed such candidates to appear for the exam, at the centres of their choice, on 2 March 2018. APPSC Degree College Lecturers Final Selection List Results 2018: The list of candidates in 16 subjects are provisionally selected for the recruitment to the post of lecturers on Govt. Degree Colleges in A.P Collegiate Education service Vide Notification No 26/2016 has been declared. The list is available in Commission’s website www.psc.ap.gov.in. as well as in the notice board of the Commission’s Office. In case of Commerce, the results are kept in pending as per interim order of Hon’ble APAT in OA No 308 of 2018 dated 20 .02.2018. In continuation of result notification dated 04/11/2017, the results of the Computer based Examination held on 06/06/2017 FN & 07/06/12017 FN in Commerce subject are published on 18.11.2017. 64 candidates are called for interview. The Interviews to the Commerce Subject will be conducted from 15.12.2017 to 19.12.2017. The Result Notification and Interview Schedule are hosted on Commission’s Web-site. Nampally, Hyderabad on the respective day. RESULT: ANDHRA PRADESH PUBLIC SERVICE COMMISSION: HYDERABAD (Prathibha Bhavan, M.J Road, Nampalli, Hyderabad-1). In continuation of result notification dated 04/11/2017, it is hereby notified that on the basis of the results of the Computer based On-line Examination held on 06/06/2017 FN & 07/06/12017 FN to the post of LECTURER IN GOVERNMENT DEGREE COLLEGES IN A.P COLLEGIATE EDUCATION SERVICE vide Notification No.26/2016 and corrigendum to Notification No.26/2016 dt:05/01/2017,14/02/2017& 09/09/2017, The candidates with the following Register Numbers have been provisionally picked up for the Verification / oral test (Interview). Subject to the fulfilling Conditions regarding eligibility and other aspects to the recruitment and subject to outcome of court cases, if any. 2. The candidates are required to produce the Original Certificates along with two sets of copies relating to Age (SSC), Qualifications, Community and Latest Creamy Layer exemption certificate in case of BCs as per G.O.Ms.No. 3, BC (W) (C2) Dept. dt. 04/04/2006 (prescribed format hosted on website), Certificate relating to claim of age relaxation, and other relevant certificates at the time of verification of documents, failing which, they will not be admitted for interview. No extension of time will be given for production of original certificates for any reason, whatsoever. 15/12/2017 onwards, eligible candidates will be allowed for the Oral Test (Interview) to be held at 10.30AM on the same day. The Interview schedule will be placed in the Website separately. The candidates should download the Interview Call letter (Memo), Check lists, Attestation Forms and other relevant forms from the Commission’s website www.psc.ap.gov.in from 20/11/2017 and should submit at the time of verification of the certificates. 4. If, on further verification it is found that any candidate is not eligible with reference to the particulars furnished by him/her in the Application Form / Certificates, the candidature of such candidate / candidates shall be cancelled at any stage in the process of selection. And also out of the list, in 1:2 ratio, if required candidates do not turn up for Oral test in any category, candidates next in merit will be called Individual call letters will be sent specifying the time and date. Even if the memo is not received through post in time, Candidate can bring downloaded memo along with required Certificates which would be sufficient for admission to verification. 5 All the Disabled candidates have to undergo Medical Examination at respective Medical Board at Visakhapatnam. If it comes to the notice of commission later that any candidate furnished false information or the admission is not in order due to any act of omission or commission of any candidate then his/her provisional selection is liable to be cancelled at any stage and he/she will forfeit all consequential benefits includes that of selection, besides the Commission reserves the right to take any action as it deems fit in the circumstances of the case, in terms of various enabling provisions as notified in Notification No 26/2016. APPSC Degree Lecturers Recruitment 2017 Exam Results Published at Psc.ap.gov.in: Andhra Pradesh Public Service Commission (APPSC), Hyderabad published the results of Computer based On-line Examination held for the recruitment of lecturer in government degree colleges in the state. APPSC, on the basis of the results of the Computer based On-line Examination held on June 6, 2017 to the post of lecturer in government degree colleges in A.P Collegiate Education Service, released the candidates' s register numbers on the official website. These candidates have been provisionally picked up for the Verification / ORAL TEST (Interview). According to APPSC, the selected candidates are required to produce the Original Certificates along with two sets of copies relating to Age (SSC), Qualifications, Community and Latest Creamy Layer exemption certificate in case of BCs as per G.O.Ms.No. 3, BC (W) (C2) Dept. dt. 04/04/2006 (prescribed format hosted on website), Certificate relating to claim of age relaxation, and other relevant certificates at the time of verification of documents, failing which, they will not be admitted for interview. No extension of time will be given for production of original certificates for any reason, whatsoever, said the commission on the results notification. The candidates should download the Interview Call letter (Memo), Check lists, Attestation Forms and other relevant forms from the Commission's website www.psc.ap.gov.in from 04 /11/2017 and should submit at the time of verification of the certificates. APPSC Degree College Lecturers Recruitment Results Notification: Result Notification No.26/2016 to the Post of Lecturers in Govt Degree Colleges in APCES(Published on 04/11/2017). It is hereby notified that on the basis of the results of the Computer based On-line Examination held on 06/06/2017 FN &AN, 07/06/12017 FN&AN and 08/06/2017 FN to the post of LECTURER IN GOVERNMENT DEGREE COLLEGES IN A.P COLLEGIATE EDUCATION SERVICE vide Notification No.26/2016 and corrigendum to Notification No.26/2016 dt:05/01/2017,14/02/2017& 09/09/2017, The candidates with the following Register Numbers have been provisionally picked up for the Verification / ORAL TEST (Interview). Subject to the fulfilling Conditions regarding eligibility and other aspects to the recruitment and subject to outcome of court cases, if any. 3. The verification of the certificates will be held to the candidates who are directed to attend interview in Forenoon should come by 8.00AM and the candidates who are directed to attend interview in afternoon should come by 11.00 AM to the Commission’s office from 27/11/2017 to 14/12/2017 Only eligible candidates will be allowed for the Oral Test (Interview) to be held at 10.30AM on the same day. The Interview schedule will be placed in the Website separately. The candidates should download the Interview Call letter (Memo), Check lists, Attestation Forms and other relevant forms from the Commission’s website www.psc.ap.gov.in from 04 /11/2017 and should submit at the time of verification of the certificates. WEB NOTE: It is hereby informed to the candidates that the results of the Computer based On-line Examination held on 06/06/2017 FN &AN, 07/06/12017 FN& AN and 08/06/2017 FN in various subjects. The results of the On-line Examination will be available on the commission website www.psc.ap.gov.in.The interviews to the above recruitment will commence from 27/11/2017. Interview schedule would be announced in 2 to 3 days.The individual call letters will be dispatched to the candidate’s. The verification of the certificates and interview will be conducted on the same day. The candidates who are directed to attend interview in Forenoon should come by 8.00AM and the candidates who are directed to attend interview in afternoon should come by 11.00 AM to the APPSC, Prathibha Bhavan, M.J Road, Nampalli, Hyderabad on the respective day. Step 2. Click on this link: "RESULT NOTIFICATION OF NOTIFICATION No.26/2016 TO THE POST OF LECTURERS IN GOVT. DEGREE COLLEGES IN A.P COLLEGIATE EDUCATION SERVICE (Published on 04/11/2017)"
The proforma Application will be available on Commission’s Website (www.psc.ap.gov.in) from29/12/2016 to 28/01/2017(Note:28/01/2017 is the last date for payment of fee up- to 11:59 mid night). Before applying for the post, an applicant shall register his/her bio-data particulars through One Time Profile Registration (OTPR) on the Commission Website viz., www.psc.ap.gov.in. Once applicant registers his/her particulars, a User ID is generated and sent to his/her registered mobile number and email ID. Applicants need to apply for the post using the OTPR User ID through Commission’s website. Syllabus, Scheme of exam, Qualifications, selection procedure, How to apply, how to fill the online application form, Written exam date, Application fee, hall tickets, results declaration date, selection list preparation method, instructions to the candidates and more details to be announced by the APPSC Website. Submission of Online application: 29/12/2016. Last date for submission of Online application: 17/02/2017. Date of Examination: The Commission conducts Screening test in Off - Line mode in case applicants exceed 25,000 in number and main examination in On-Line mode for candidates selected in screening test. If the screening test is to be held, the date of screening test will be communicated through Commission’s Website. The Main Examination is likely to be held On-Line through computer based test on 06/06/2017 FN & AN. Web note: The Generation of Hall Tickets for Degree College Lectures Exam (Notification No :26/2016) scheduled to be held from 06-06-2017 to 08-06-2017 is already started. Hence, the Requisitions to change of centers will not be entertained from the candidates.